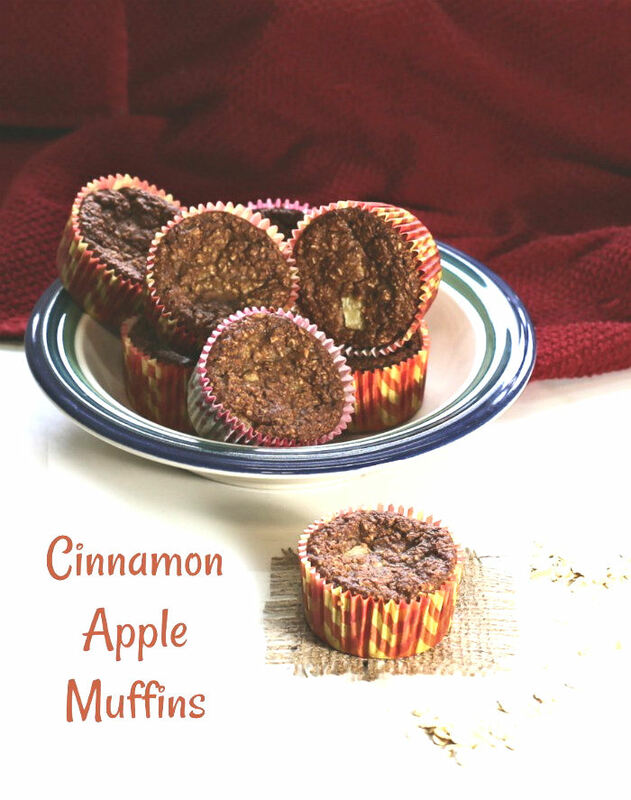 Healthy Cinnamon Apple Muffins - Only 2 WW Freestyle Points! 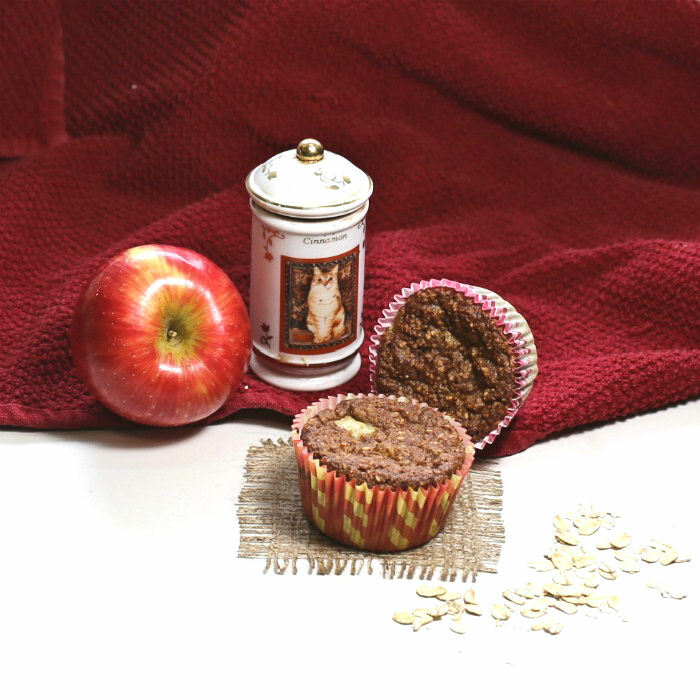 When you are trying to watch your weight, carb-filled items like muffins can be off limits at breakfast time. 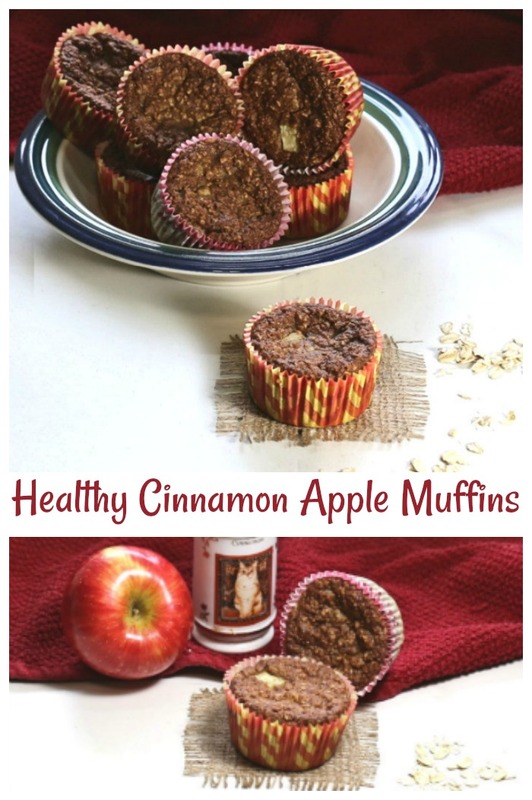 But not so with these healthy cinnamon apple muffins. Each of these delicious, full sized, muffins clocks in at just 102 calories each, and works out to 2 WW Freestyle points. Do you love muffins as much as I do? Check out these tasty recipes, too. This healthy muffin recipe is quick to make and all the work is done in the food processor. A few quick pulses and you are done with the batter. What could be easier? 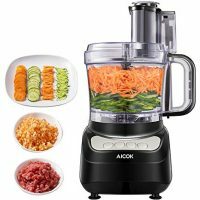 It is not even necessary to separate the dry ingredients and wet ingredients, which makes clean up a breeze. 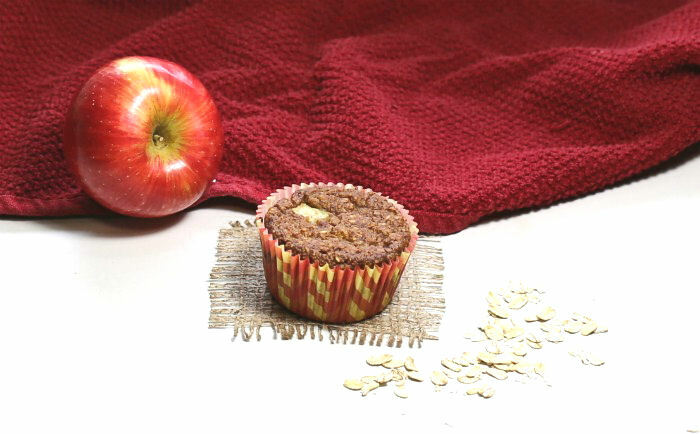 With healthy ingredients like non-fat Greek yogurt, rolled oats, eggs and maple syrup, you won’t mind serving these tasty apple muffins to your family. Just mix together the ingredients and give them a quick time in the oven and you have a breakfast on the go in less than 30 minutes. Perfect for those busy mornings! 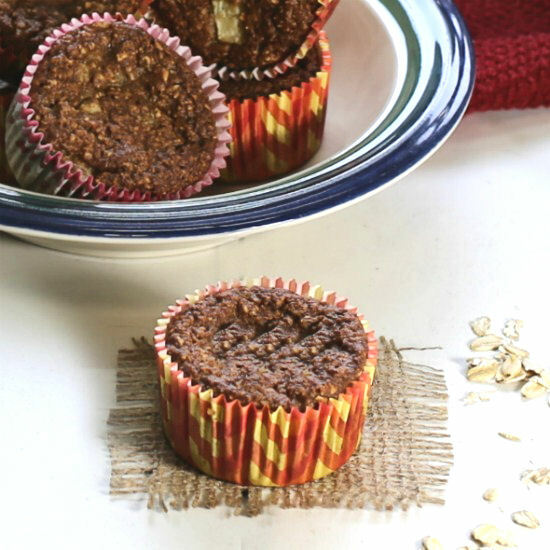 These muffins have a light sweetness from the maple syrup and the texture of the finely chopped apples and oats goes so well together. What are the best apples for muffins and other baked goods? When you are baking, you will want an apple that gives a balance of both sweet and tart flavors, as well as a firm flesh that will not break down in the heat of the oven. These muffins offer a great balance of nutrients and protein, while keeping the sugar count lower. Here are some tips for doing this. Use rolled oats in place of flour. This keeps the recipe gluten free (check your labels for notes on gluten). It’s very easy to make oat flour in the food processor in just minutes. Add Greek yogurt in place of milk. Greek yogurt is a powerhouse of vitamins and minerals and also has a lot of protein. Limit the sugar. 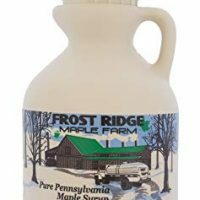 Pure maple syrup is rich and 1/3 cup gives you plenty of sweetness. It also has a lower glycemic index than plain sugar so it raises the blood sugar more slowly. Replace oil with applesauce. This is a huge savings in calories and also adds more natural sweetness to the recipe. 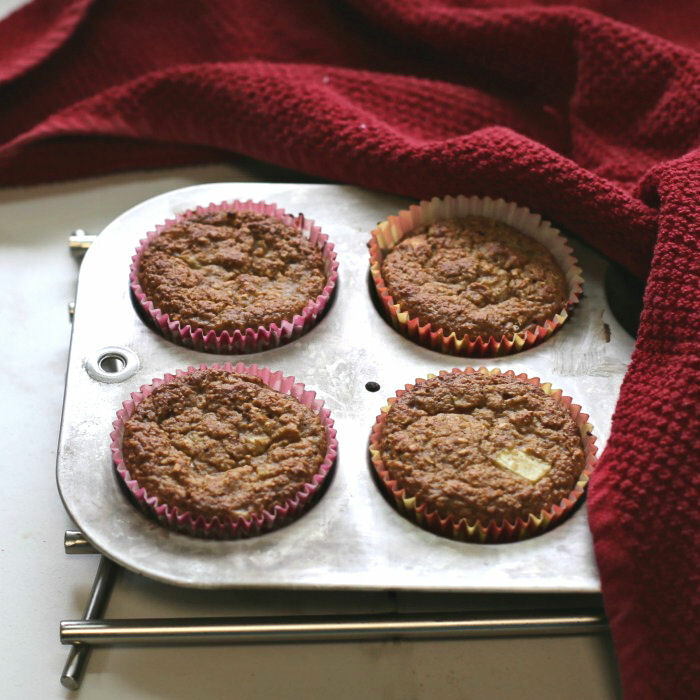 Would you like a reminder of these healthy cinnamon apple muffins? Just pin this image to one of your cooking boards on Pinterest. Pre-heat the oven to 400 º F. Line 16 muffin tins with paper liners, or spray the cups with cooking spray. In the bowl of your food processor, add the oats. Replace the lid and process the oats until they look like flour, 1-3 minutes. 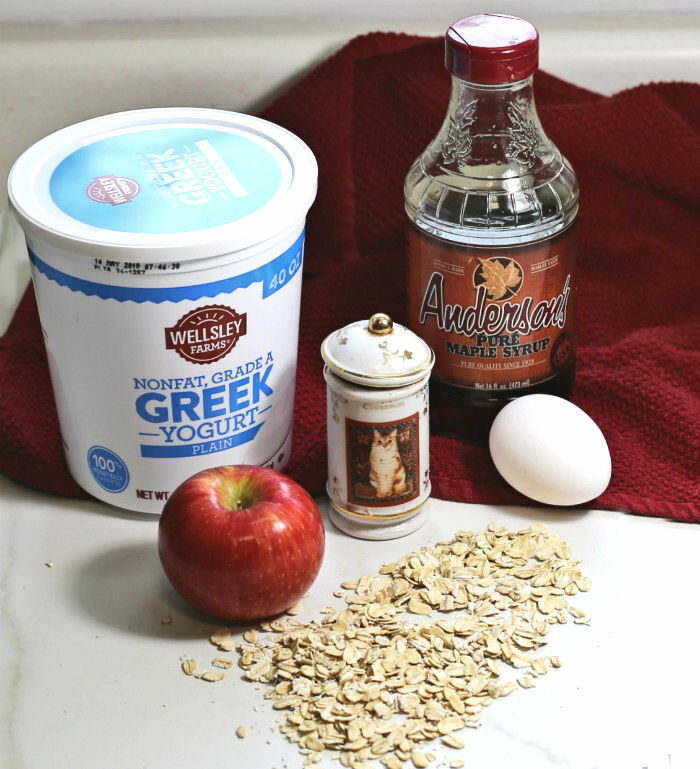 Add the applesauce, eggs, Greek yogurt, maple syrup, baking powder, baking soda, vanilla, and salt to the bowl of the food processor and blend until smooth, 1 to 2 minutes. Add the finely chopped apples and cinnamon and fold in well. 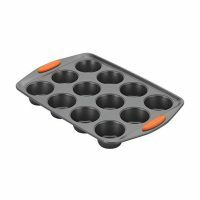 Scoop the muffin batter into the prepared muffin pans. Bake until the muffins spring back slightly when touched and toothpick inserted into the center comes out clean, about 20 minutes. 1 of these muffins is 2 WW Freestyle points, but 2 works out to 5 points.